Meanwhile, in a small mixing bowl, stir together the barbecue sauce and brown sugar. 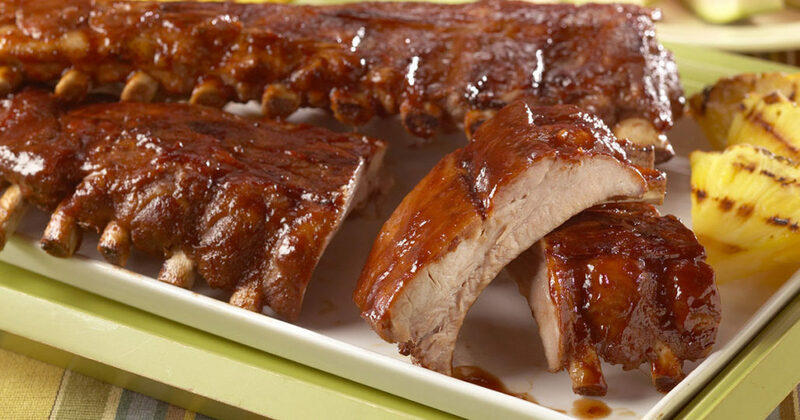 Brush over both sides of ribs. Place ribs on grill, bone side down, close lid. Grill for 7 minutes, turn and grill 7 minutes more. Recipe and photo courtesy of the National Pork Board, http://www.pork.org. Our Family. Here For Yours. Our Family® is an extensive line of high quality products that are equal to or better than the national brands. Developed more than 100 years ago, the Our Family label is one of the oldest and most well-established in the industry. The number one reason for the success and longevity is “QUALITY”. ©2018 Our Family Foods. Powered by SpartanNash Digital Services.